I’ve got 2 girls – a tween and a teen – and we have lots of nail polish and hair products. If you’ve got girls that age you know the organization / storage struggle is real! So to help with their bathroom storage I decided to make a nail polish shelf where they could store some of their hair product too. I’m joining the Power Tool Challenge this month where the girls are sharing organization builds. I’ve been wanting to build a storage shelf for a while and it’s an easy build. I gave it one coat of a beautiful teal paint. It’s the perfect place to store all our nail polish plus some hair products. I spaced the shelves so there’s 8″ between the bottom shelf and the 2nd and the rest are 6″ apart. What a great idea! I have so much nail polish I don’t know what to do with it all, but this would be perfect! Wow, that’s a lot of nail polish, ha ha! I love this project and could think of a number of places I could use it. Thanks for sharing on the #HomeMattersParty – I hope you will join us, next week. This is awesome! I wish I had somewhere for one of these in my home! Thanks for sharing at The DIY Collective. Pinned it! 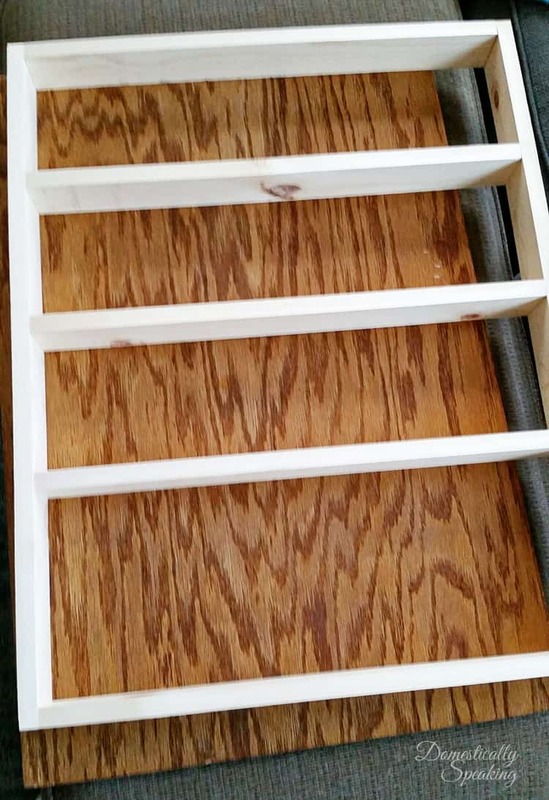 such a smart way to build a shelf with the wall as backing! love the color you chose Maryann! That is a fantastic solution to corral all of those bottles! And I love the color that you painted it. 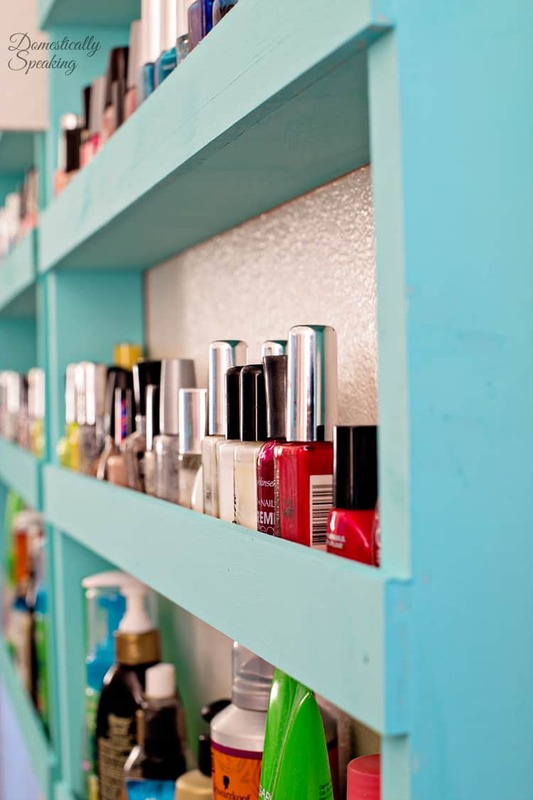 Your shelf is super cute, perfect way to organize your polish collection! This is perfect for organizing your teen’s beauty supplies. It’s also handy to have the products where the girls can see them and easily get to them when they are getting ready in the morning. We have tiny bathrooms in my house and a project like this would free up some up my precious cabinet space. thats great. i used a spice rack added a back, for my polish.however its not quite big enough. Fun organization project Maryann! We sure do collect a lot of stuff, don’t we? Your “stuff” looks so pretty and organized! This is awesome Maryann – love the paint color too! I could use one of these in my craft room to store craft paint, brushes, etc. 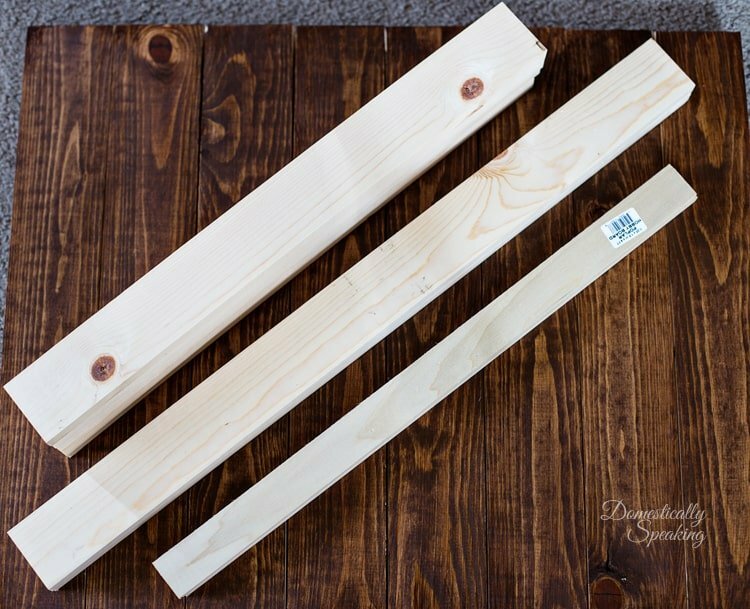 I love your project and wall storage is one of my favorite ways to use space! What a great way to keep teens and nail polish organized. I remember how cluttered having lots of nail colors was when my girls were teens, wish I’d have known then what I know now…famous last words, right? Really cute idea, Maryann! This would be perfect for my daughter’s stash of nail polish!